SBS Injection™ is a proprietary process for the selective removal of SO3 and sulfuric acid (H2SO4) from combustion gases. 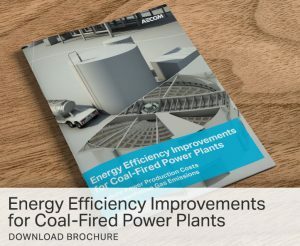 It is the only commercial technology proven to reliably achieve ultra-high removal rates in advance of the air heater - generating plant benefits beyond opacity control. Patented by Codan Development LLC and offered exclusively by AECOM Process Technologies, SBS Injection™ involves the injection of a sodium-based solution (SBS) into flue gas via an array of injection lances with atomizing nozzles. The solution quickly evaporates and the resulting product reacts with SO3 to form a benign sodium sulfate solid that is collected with fly ash in the downstream particulate collection device or wet FGD process. 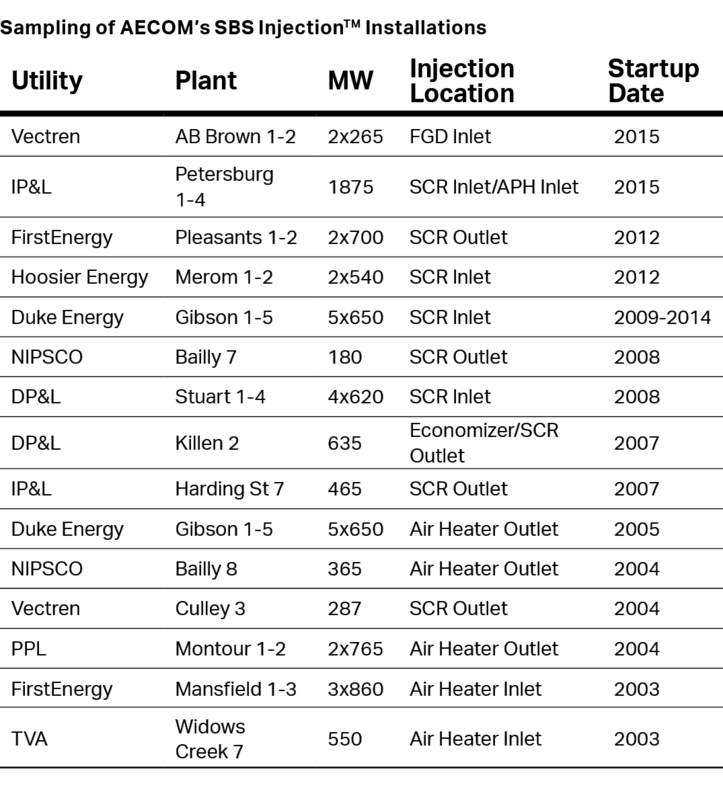 Process Technologies has applied this process to 30 boilers representing over 15,000 MW of installed capacity, and over 10 years of continuous operating experience. SO3 removal levels of 95-99% have been demonstrated on retrofit installations, and the process can easily meet strict H2SO4 emission limits for new power plants. Operating costs are typically $500-700/ton of SO3 removed, while capital costs typically range from $10-20/kW for coal-fired power plants. These benefits can often total several million dollars annually for a typical power plant. Process Technologies can offer the SBS Injection technology in a variety of ways to suit the customers’ needs – ranging from a core process technology package to a fully installed turnkey system.